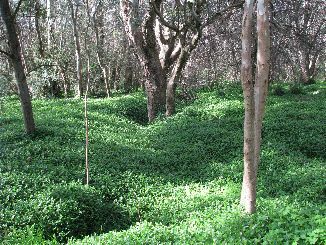 - looking pretty but killing off all other ground cover. 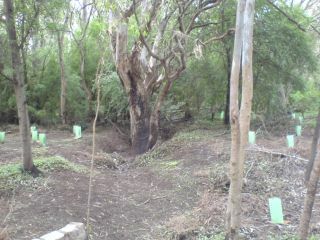 2010 - the area freed of Trad and planted. 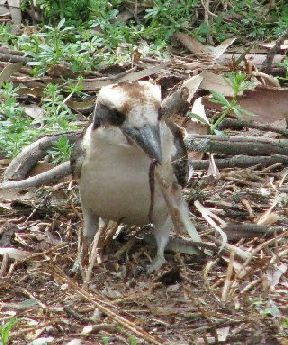 A juicy worm for a snack. 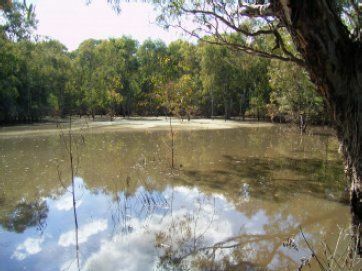 The billabong from the same point; 2005,2008 and 2010. Photos made available from a private collection for this site. 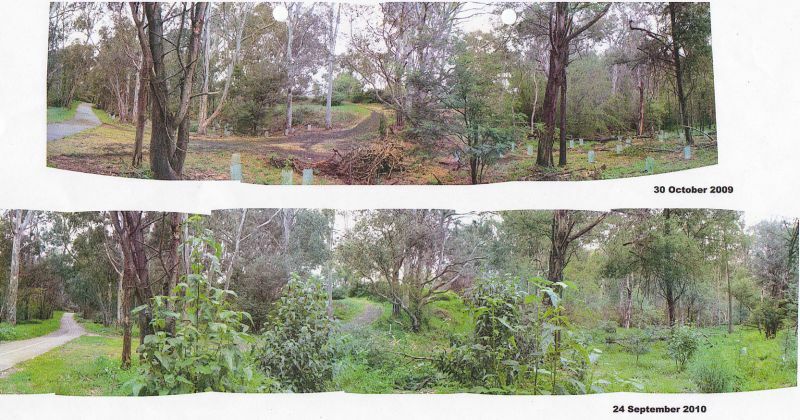 I was so excited to read the story of your transformation of the Burke Road Billabong Reserve. It brought back such memories of my years growing up in the area in the 1950s. 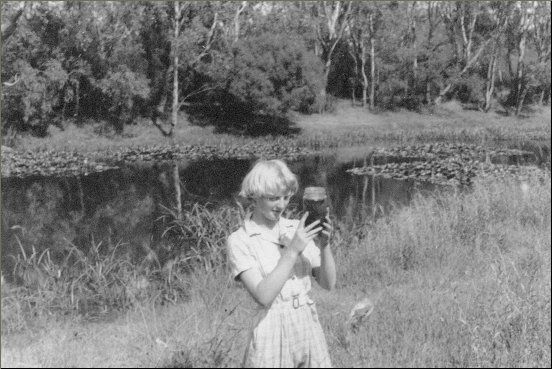 Our family lived in Burke Road (now "Old Burke Road"), and my friend and I played in the billabong on occasions. 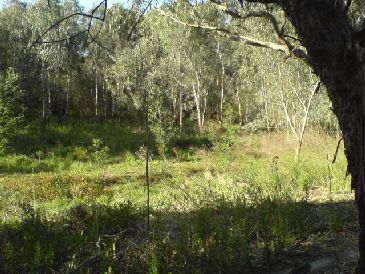 The billabong was on the Hays Paddock farmland. 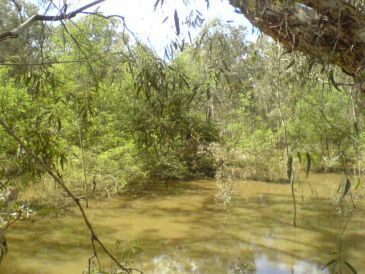 We could walk there from Keystone Crescent, then when we got to the billabong area, the land dropped away from the cleared farm area into more natural vegetation as you went closer to the river. 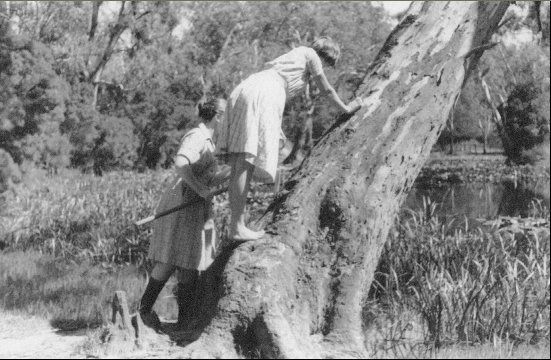 We went fishing in the billabong sometimes, and on one specially exciting occasion, we found an old piece of car roof near the tip. It had been cut off at the pillars from the main car body, and we dragged it down to the billabong to try it out as a boat. We found we could just manage to paddle it around with both of us on board - very exciting. 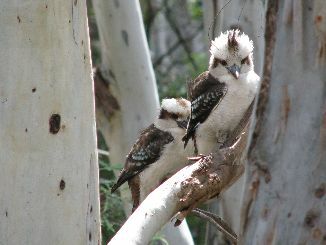 From memory there were two billabongs close to each other, and one would hold water better than the other. 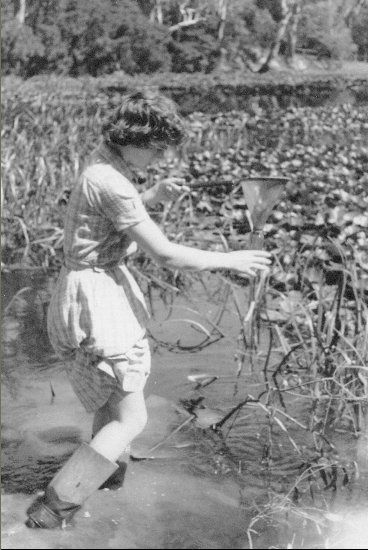 The river flooded routinely most years as far as I can recall, and no doubt that is how the fish came to be there. Congratulations on the work of you and your group. Street Directory of East Kew in 1950s. Burke Rd. alignment was then west of the the current alignment. Original Melways map of East Kew in 1966. Google maps aerial photo of East Kew 2010. 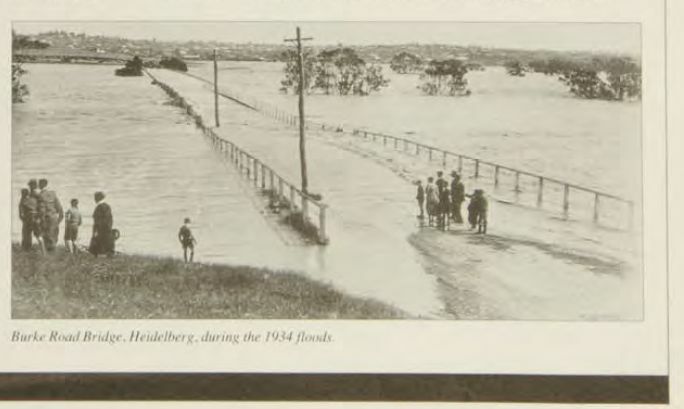 1934 flood at Burke Rd. Bridge, (Heidelberg). From MMBW Journal. Yarra river near Burke Road bridge, 1965? 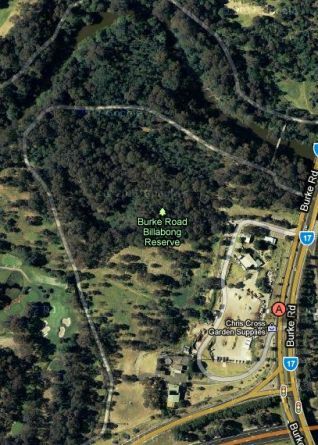 Top of Burke Road, building new bridge over Yarra River? 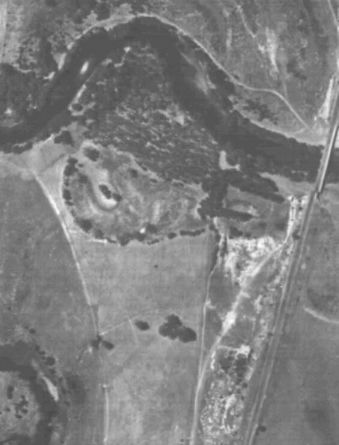 From the north-west, 1966?